Senator Aisha Alhassan, yesterday, dumped the All Progressives Congress, APC, for the United Democratic Party, UDP, over what she termed as unjust treatment by the leadership of APC which, she claimed, denied her clearance for the party’s governorship primary. 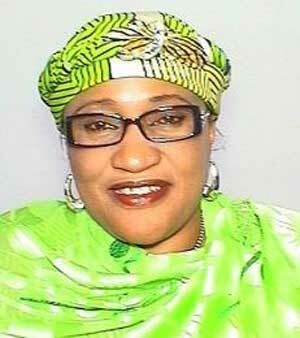 Alhassan, who addressed a press conference at her residence in Jalingo, Taraba State capital, after registering as a member of the UDP and picked the expression of interest and nomination forms of the party to contest as governor of Taraba in 2019, said she had resigned her appointment as Minister of Women Affairs and Social Development. The Minister stated that APC had become inconsequential in Taraba after she moved with all executives of the party from the 169 wards of the state to UDP. She accused the National Chairman of the APC, Comrade Adams Oshiomhole, of frustrating her efforts and causing confusion in the state APC after installing a new executive at the state level, adding that he is set to destroy the party if not called to order. “My movement to the UDP was a result of my being screened out by the National Chairman of APC, Adams Oshiomhole, who decided, in his wisdom, to say that I was disqualified and not fit to contest for election”, Alhassan added.